Doors, Double Glazing and UPVC Windows in Wirral and across the North West and North Wales. We undertake a wide variety of improvements to your home, from UPVC Windows and Double Glazing, through to Conservatory Glazing Systems, Bi-Fold Doors, Glazing Repairs and Energy Efficient Solar Thermal Systems. 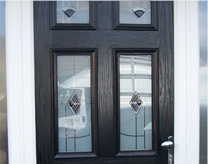 Bebington Glazing is also the North West's premium supply and fitter of composite doors. We install composite doors in Wirral and in Liverpool. Add a stunning new look to your home with our wide range of energy efficient windows. Add value, style and security to your home with our huge range of doors. Here at Bebington Glazing we pride ourselves on the quality of our services, including double glazing, uPVC windows & Composite Doors. We work to the highest standards to ensure your total satisfaction, and being Wirral’s experts in glazing, you can be sure of a quality job. We offer a range of services throughout Wirral, Liverpool and Chester and all of our work is carried out by our own staff; we do not use contractors to fit your windows and doors. So get in touch with us today and we can provide everything you need for the home of your dreams. Your home is your castle, and as such you want it looking as great as possible. A lot of that comes down to outward appearances. That’s where we come in. Freshen up your Wirral home with a conservatory from Bebington Glazing. Using quality glass, bi-folding doors and superior roofing, our conservatories can make your home look fantastic. So why not see what we have to offer? Not only can a conservatory add space to your home, but it can add real value to your home as well. The extra room can be used all year round for a variety of purposes and can enhance your home’s appearance. If you require a conservatory in Wirral, Liverpool or Chester, call Bebington Glazing today on 0151 645 3830. 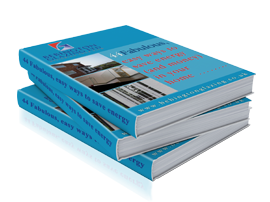 When it comes to double glazing, quality matters. You want to be proud of your home and you want your windows to perfectly match the style of the rest of the property, and that’s why you need an expert. As the experts in double glazing in Wirral, we can offer you a choice of finishes to suit your home perfectly, and when you come to us you can get just that. Our windows are available in a range of colours including deep mahogany as well as simple white, letting you tailor your glazing to suit your preferences. It’s not all about windows! We also offer stunning bi-folding doors for your residence to really bring the outdoors in and help to flood your home with light. Of course, double glazing isn’t all about looks. It can conserve energy by trapping heat inside, thereby helping you to keep your electricity bills under control. Security and safety is also a huge consideration when it comes to your choice of windows in your home. We only use the highest quality windows and our expert glaziers will ensure that your double glazing is fitted properly and built to last. If you require double glazing in Wirral, Liverpool or Chester, call Bebington Glazing today on 0151 645 3830. Bebington Glazing are professional, friendly and good value for money, with quality products. We would have no problems in recommending this company. 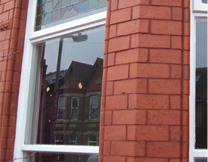 I have used Bebington Glazing before and was pleased. The guys went the extra mile. From our initial enquiry to completion, the whole package was excellent. We found the men installing the windows were very good and tidy workers. There was no time wasted with them. The job was fitted in the time stated, by very efficient, hardworking installers who were cheerful despite it being one of the coldest days of the year. Clean and tidy as well. We recommend Bebington Glazing to everyone as we did to our neighbours. You are not the cheapest but we have every belief you are the best. Your staff are excellent. We were very pleased with the high standard of work and customer service. Also the attention to detail and the amount of time and effort given to tracing and obtaining colour film to match our other windows. A big thank you for a job well done. I would also like to thank Darren and Ben for being so accommodating in every way and for having the place clean and tidy each day. So once again, thanks from me and the wife. We are very pleased with everything. I have used Bebington Glazing for the last five years and have always been extremely satisfied with the work done. Your workmen are a credit to you. Very pleased with the quality of work and service. I would recommend the company to anyone. Discover the top 10 benefits of UPVC Windows. UPVC double glazing is a superior choice for window frames and doors offering excellent performance and longevity at an affordable price.